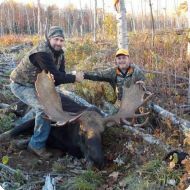 Here, At Allagash Wilderness Camps, Our Guarantee Speaks For Itself!! 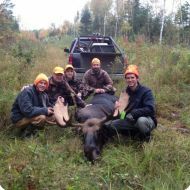 Serving as an excellent habitat for the moose, the Allagash Wilderness provides plentiful game for the hunter. 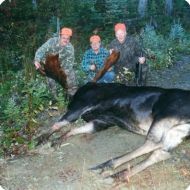 We hunt in zones 1, 2, 3 and 4; you arrive Sunday morning and depart the following Sunday morning.Click an image to view the slideshow of larger images. 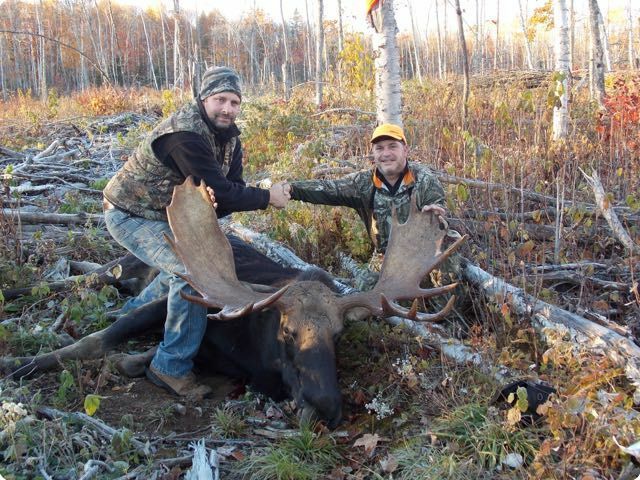 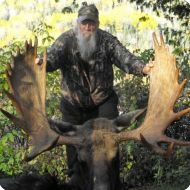 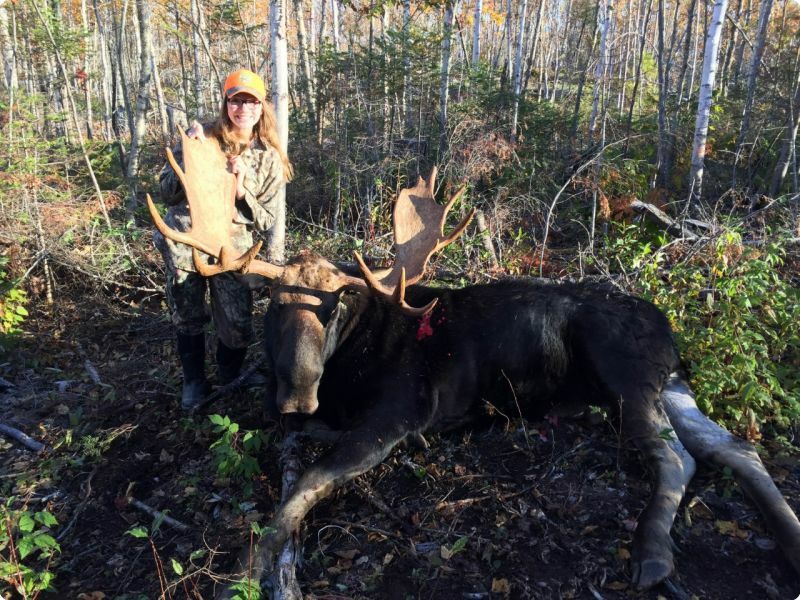 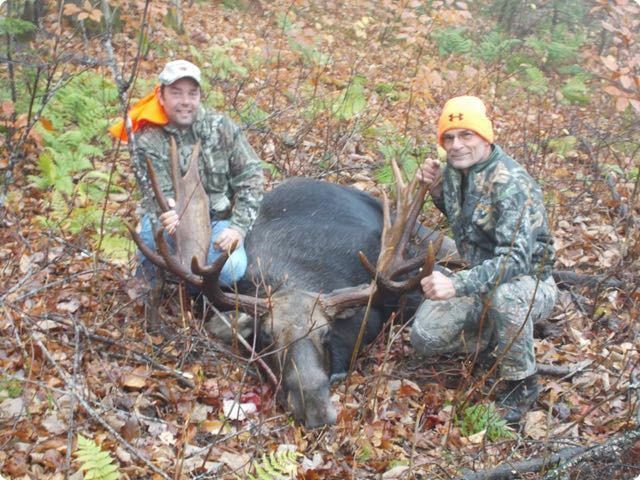 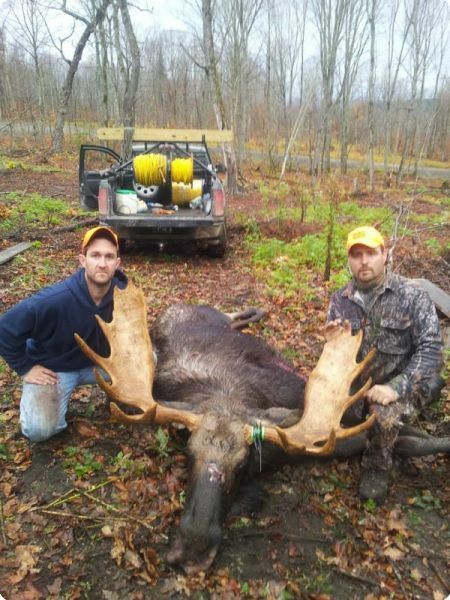 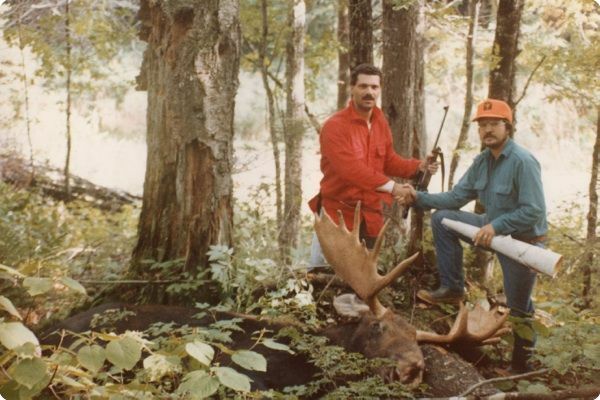 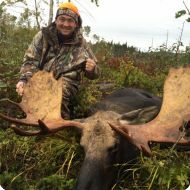 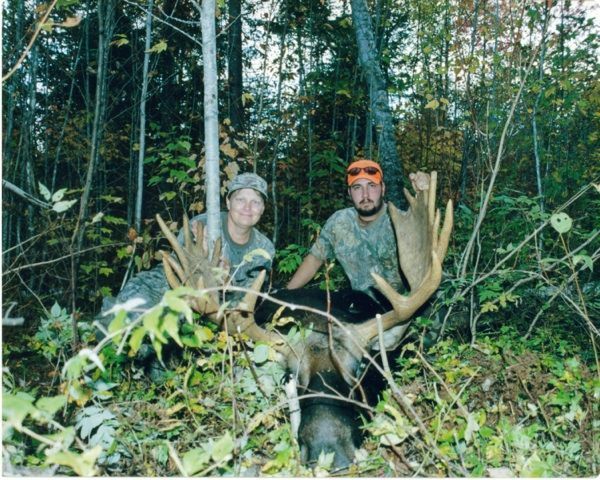 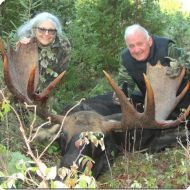 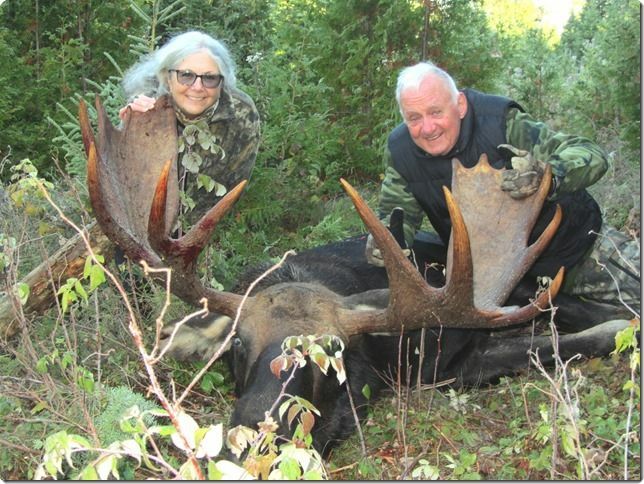 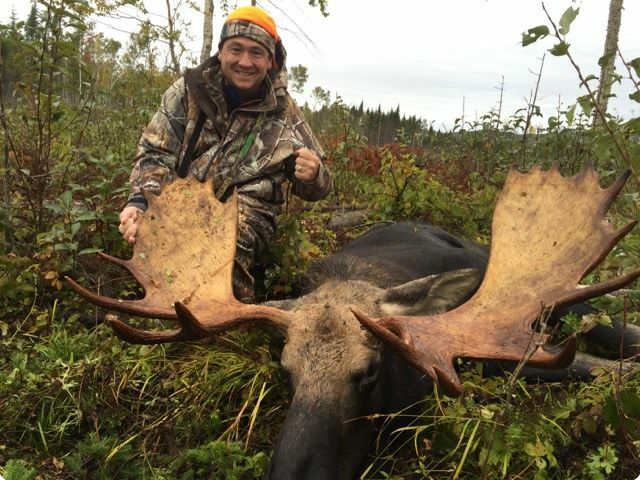 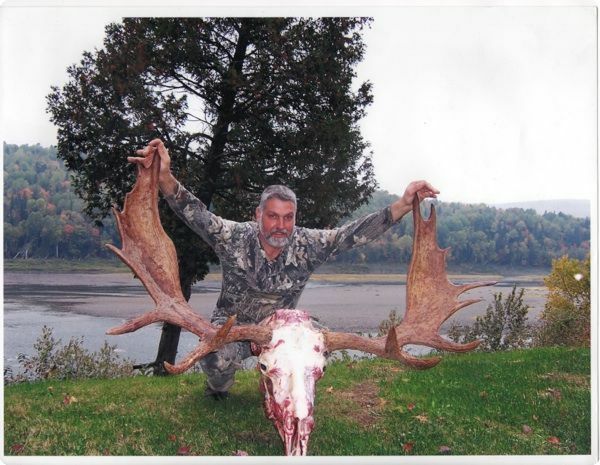 Congratulations on your once in a lifetime opportunity for a Maine Moose Hunt. 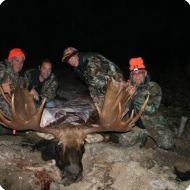 Why choose us over the rest, for your monster bull hunt? 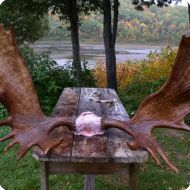 Point blank, we are the only outfitter in northern Maine that will make an offer of this kind. 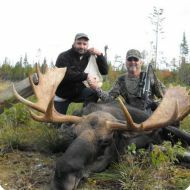 As an outfitter with over 40 years of experience, we are going to GUARANTEE you a shot at a bull or cow moose or your hunt will be FREE. 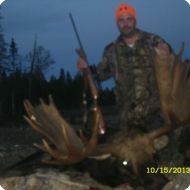 During your hunt, we will be doing a combination of walking, calling and spot/stalking. 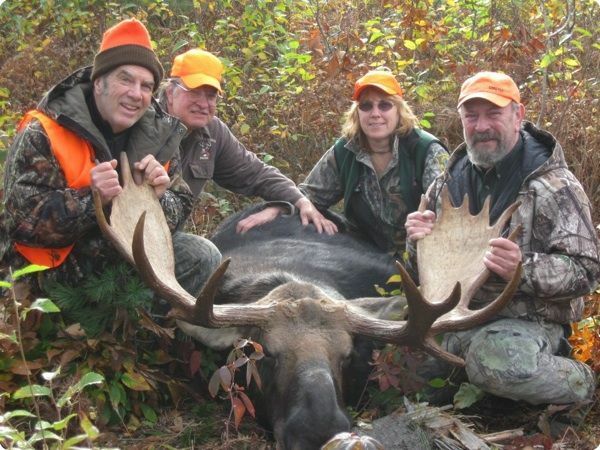 If the weather is above 50˚F, we will be focusing our hunt on ponds and marshes. 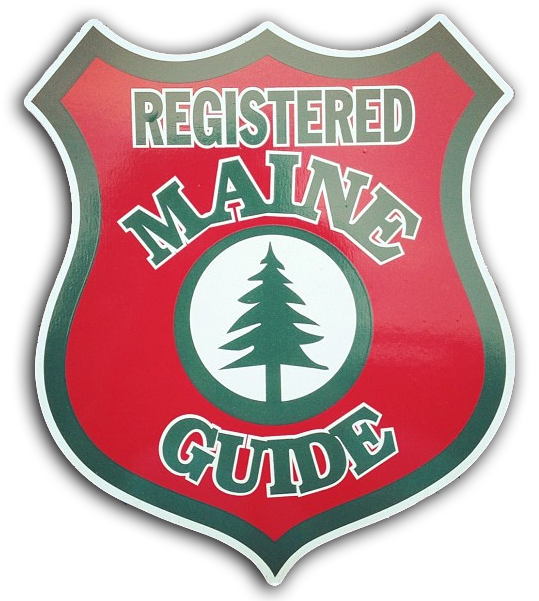 If need be, we can even take a canoe down one of Maine’s pristine rivers. 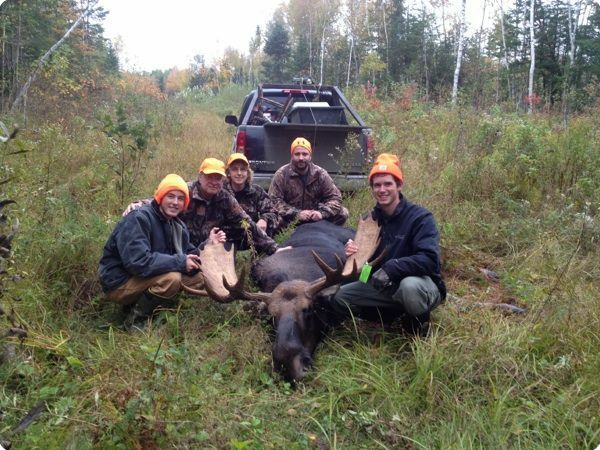 We can also tree stand hunt over feeding and rutting trails. 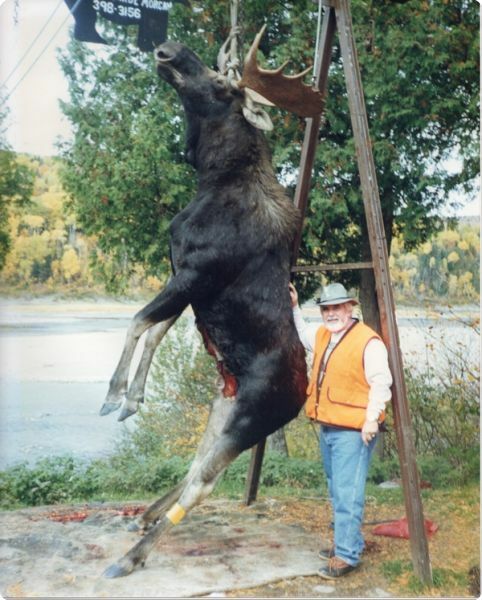 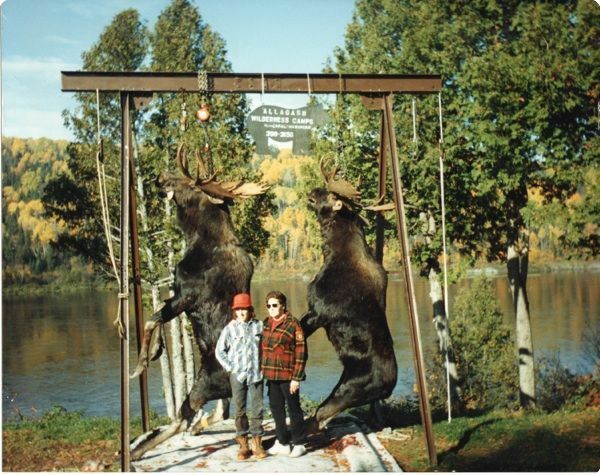 As you can see, a variety of methods may be used for you to obtain your trophy bull moose. 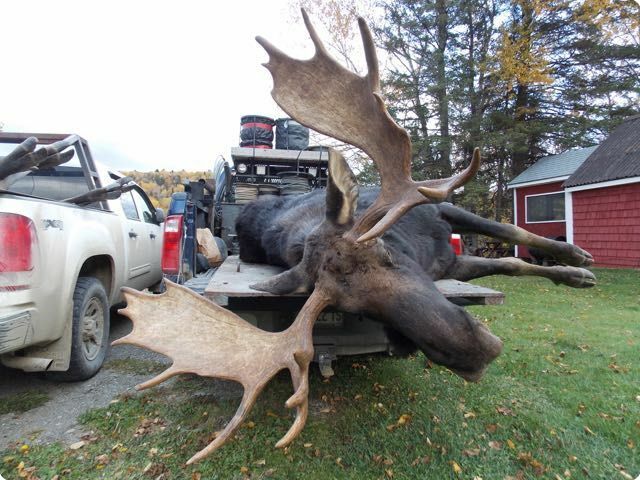 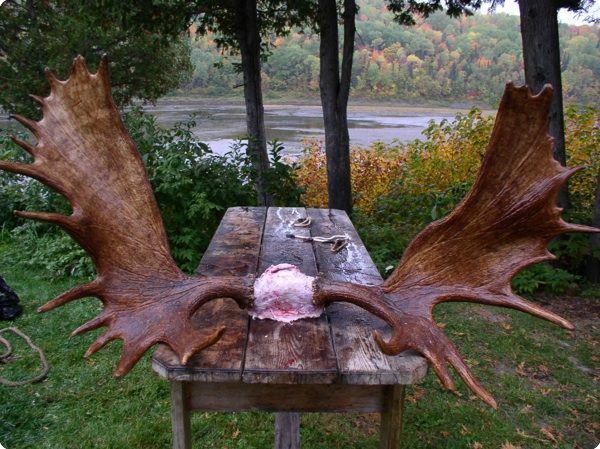 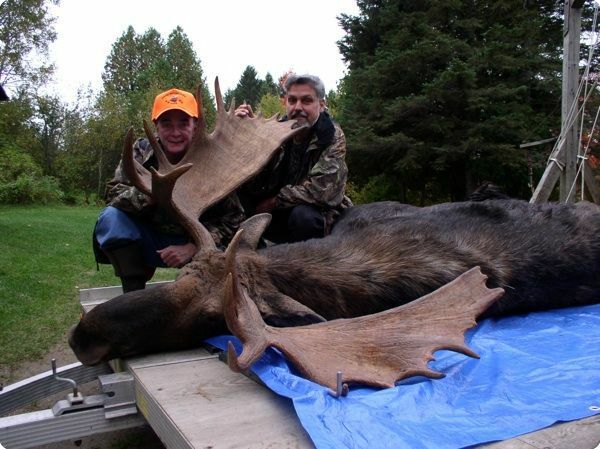 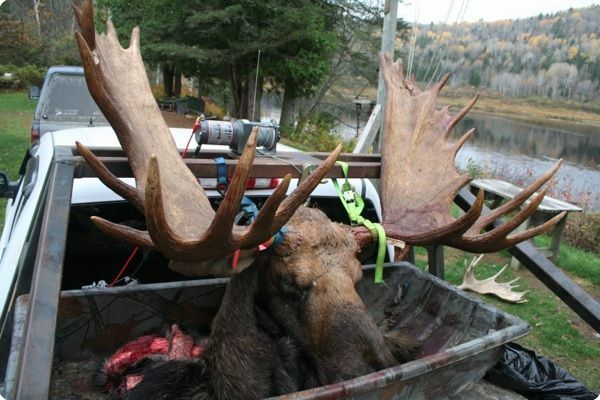 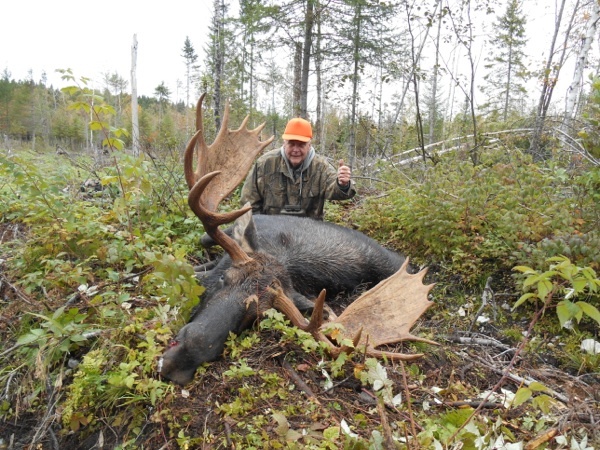 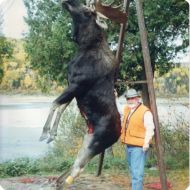 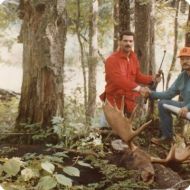 When you harvest your moose, we will retrieve it from the woods, skin, and quarter at no extra charge. 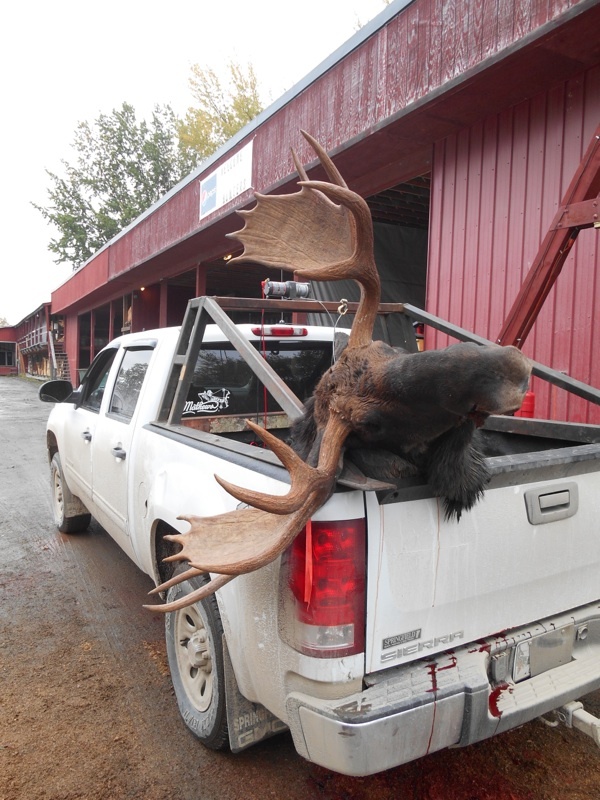 We have plenty of freezers and a walk-in freezer at our camps to ensure proper care of your meat, also at no extra charge. 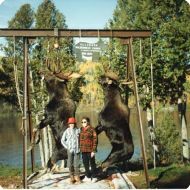 Just call our references, they will do the boasting for us; we’ve included only a miniature sample, more may be provided upon request. 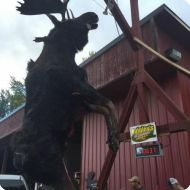 In addition, I am a licensed Maine Taxidermist, which I am passionate about during the winter months; you will find enclosed information on these services. 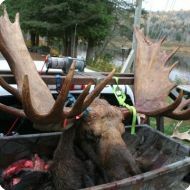 This should also reassure you that we are after a trophy bull, to then mount, for you to enjoy for many years to come. 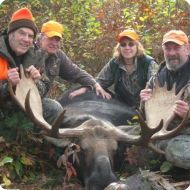 If we can be of service to you, do not hesitate to call, as we are only booking a few fully guided groups to ensure a quality hunt. 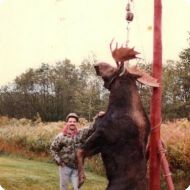 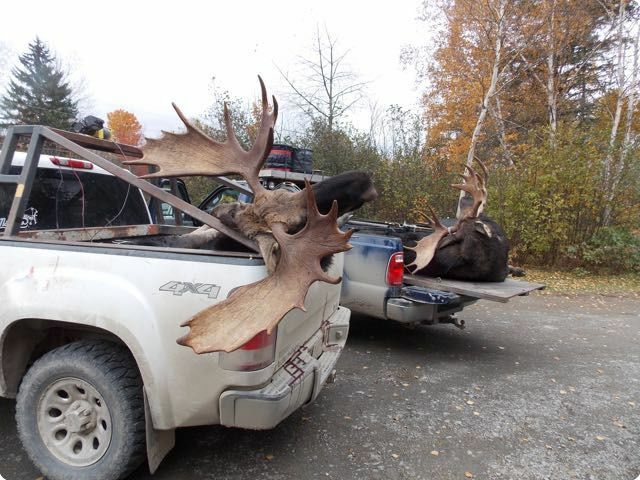 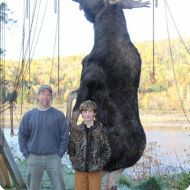 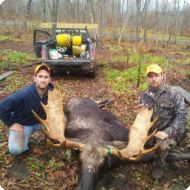 So, good luck with your Maine Moose Hunt and thanks for considering us for all of your hunting needs. 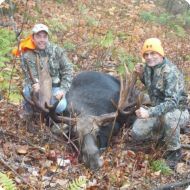 Includes guide service, transportation, fuel, game retrieval, quartering, skinning, refrigeration, meals, and lodging while at camp. 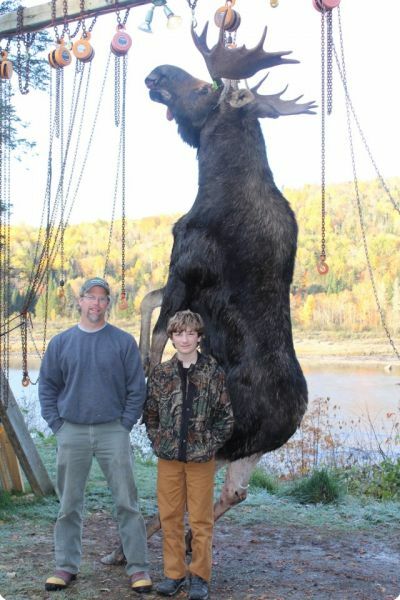 Does not include the costs of a hunting license, moose tag, and butchering. 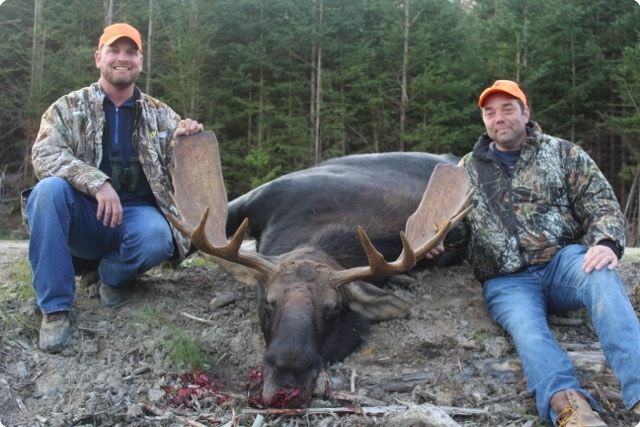 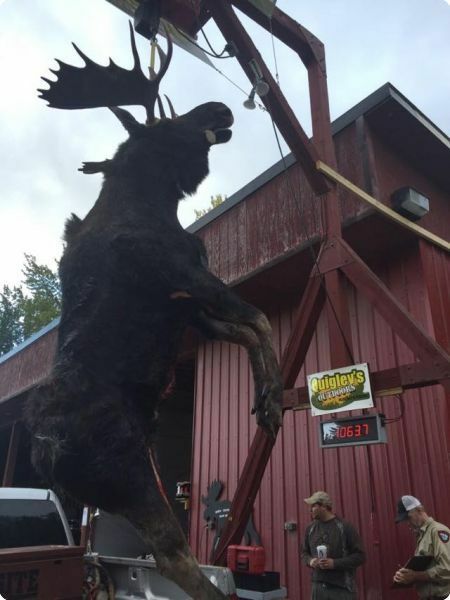 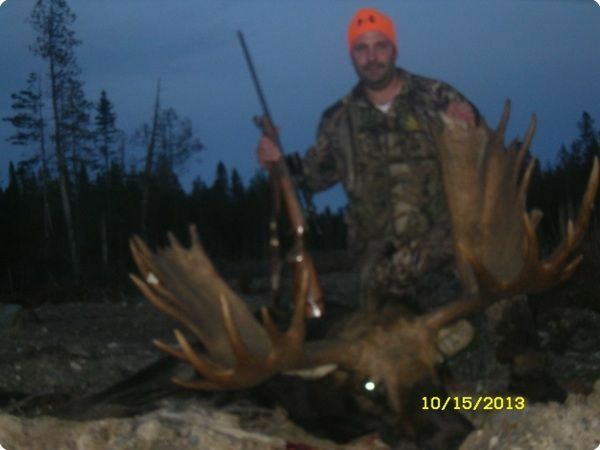 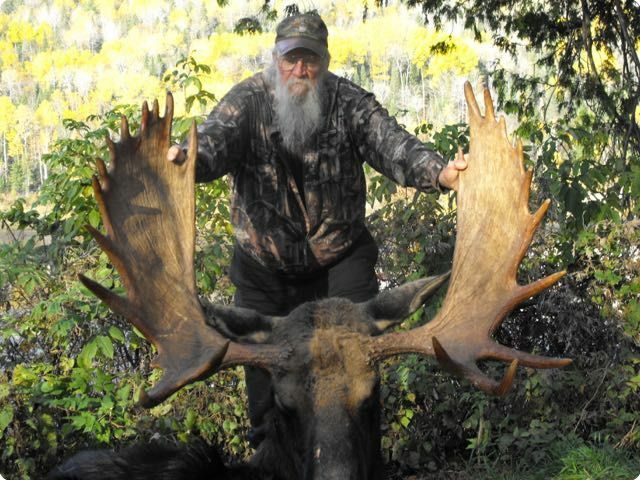 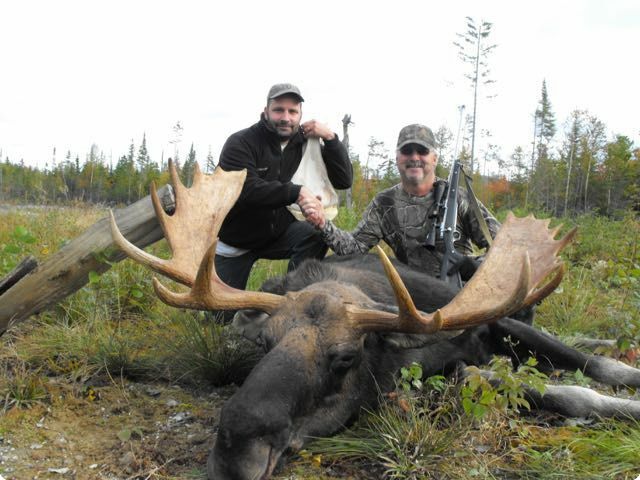 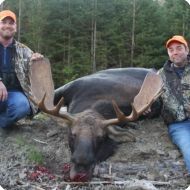 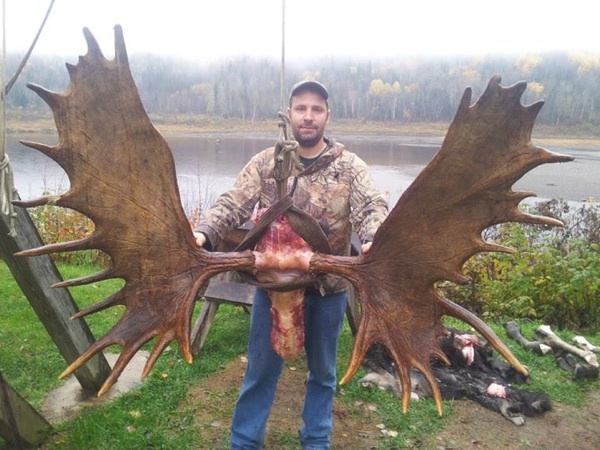 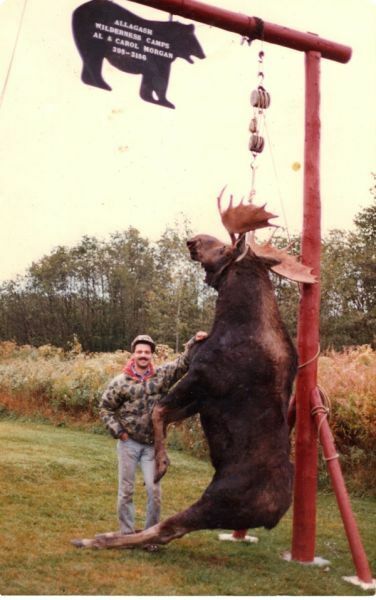 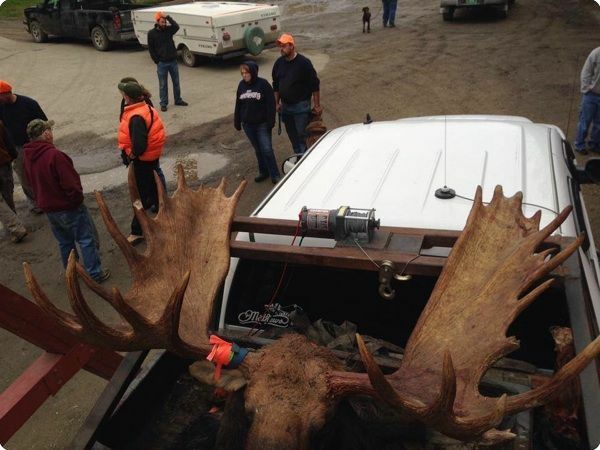 Guaranteed shot at a bull or cow moose for $4,000.00. 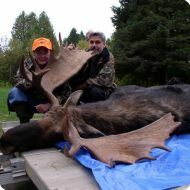 Where else can you find that in the state of Maine! 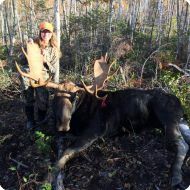 Includes one-day guide service, on Sunday, prior to hunt and set-up of a tree stand or blind; transportation and fuel for that day is also included. 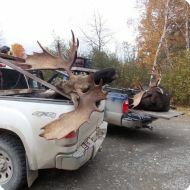 Lodging, for the week of the hunt, is provided at camp. 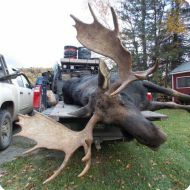 You provide the transportation, fuel, retrieval, skinning, quartering, refrigeration, meals, hunting license, moose tag, and butchering. 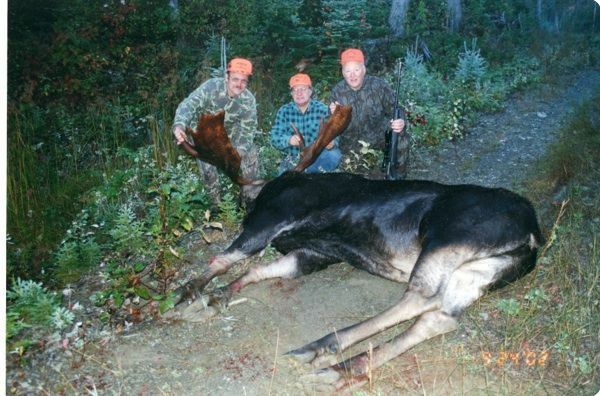 No guarantees at a shot are made. 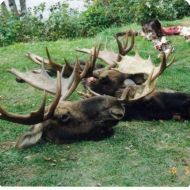 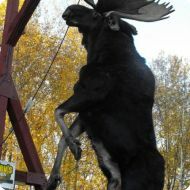 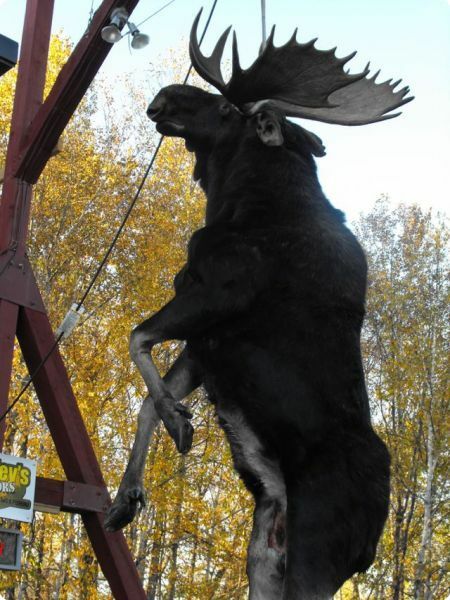 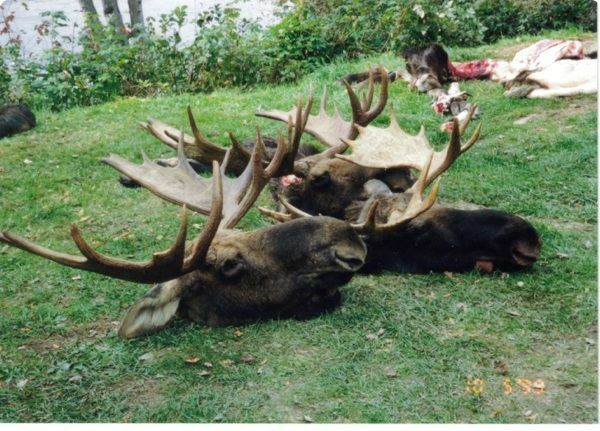 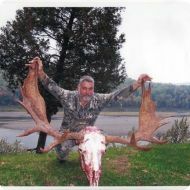 TaxidermyShoulder Mounts, European Mounts, and Moose racks all available with or without detachable antlers and panels. 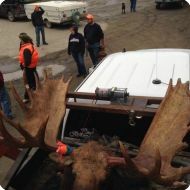 Prices vary depending on preferences.